Park Hyatt Seoul, South Korea. Ranked #84 in our countdown of the 100 Best Hotels and Resorts in the World. Oh my, is this swanky! Park Hyatt Seoul shows its 21st-century design desires with a take-no-prisoners, slick big-city hotel look. 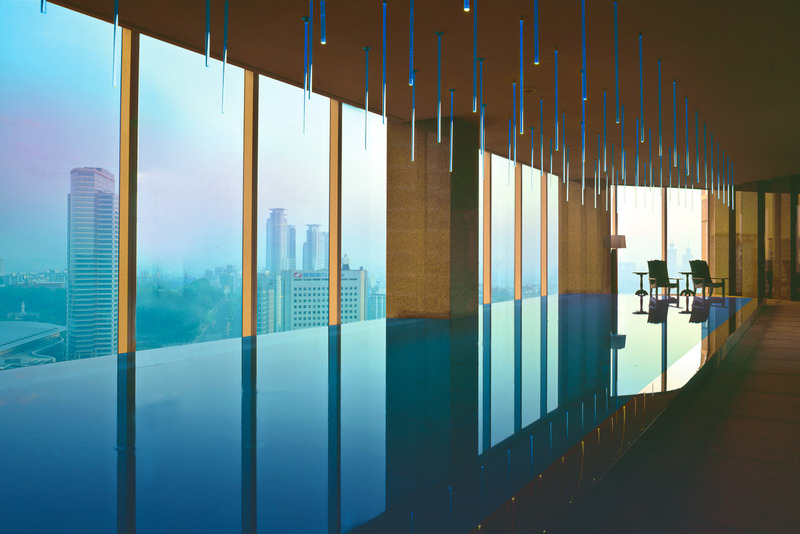 It turns tradition on its head with the 24th floor ‘sky lobby’ – you shoot past all the guestrooms to get there. Design is minimalist but with lots of touch-me textures – like natural Myanmar oak and stone, and smooth leathers. Rooms are comfort-plus; pillowtop beds, recliners and spa-type bathrooms (lagoon-size tubs, rain showers). You’re right in the heart of the Gangnam business district. Did you know The hotel has a VIB (Very Important Baby) programme. Baby guests get a cookie, teddy bear, T-shirt, rubber duck and a baby bathrobe.